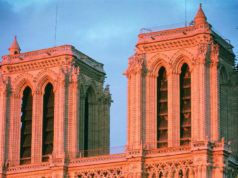 What do some of the historic rooftops of Paris have in common with the labyrinthian secret passages below the city? Apiculturist Audric de Campeau knows the answer… because he lives it. 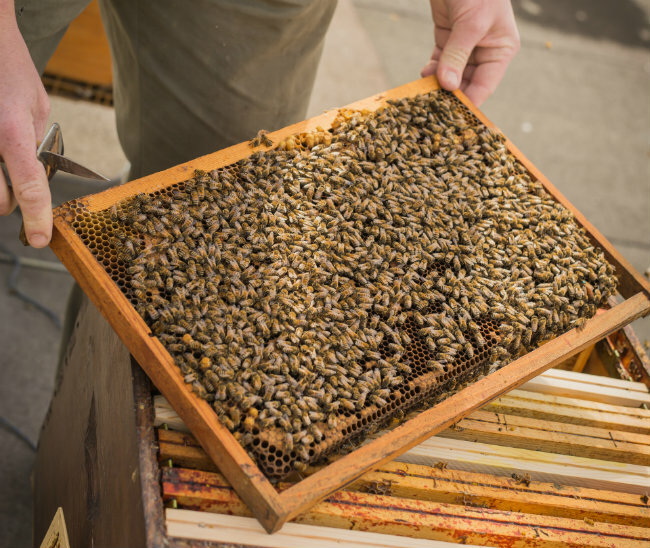 As an urban beekeeper, his work takes him both above and below the city—from combs to combs (honeycombs to catacombs). 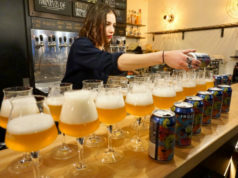 His beehives sit atop many Paris monuments, and his honey wine—called hydromel or mead (much like Sauterne)—ages in the dark, damp carrières (quarries) beneath the city. 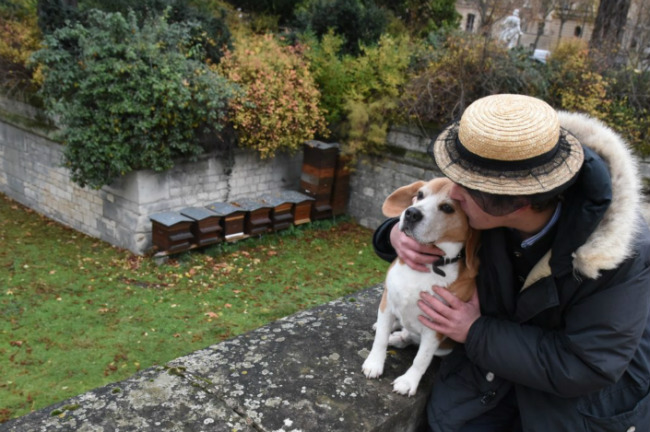 There are several well-known beekeepers in Paris, but Audric is quickly gaining attention as one of the local experts. He cares as much about the bees as he does about the honey they produce. He is dedicated to creating a range of quality products from the hard work of his colonies (pure honey, honey nougats, honey candies, and hydromel… with more surprises to come). Honey hasn’t always claimed headlines in Paris, but bees have been a part of the city’s history for hundreds of years (as a symbol of immortality for French rulers, a sign of agricultural strength, as well as a tribute to honey production). 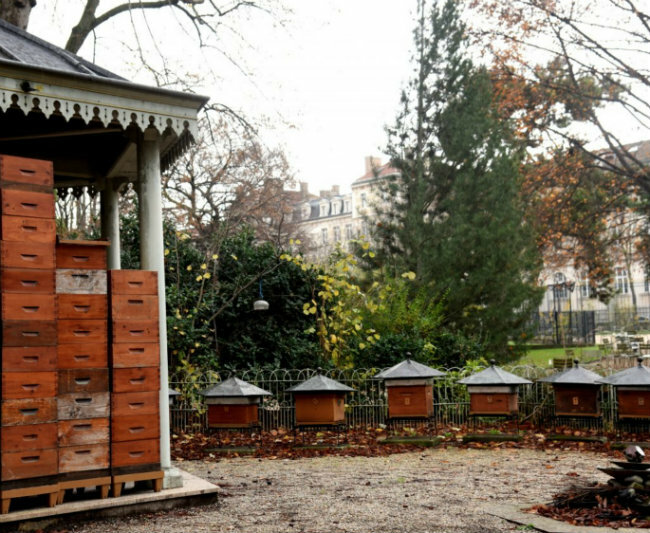 If you’re a Paris flâneur, you may have walked by the beehives tucked away in the southwest corner of the Luxembourg Gardens. These traditional wooden hives are part of a beekeeping project that began in 1856, followed by a beekeeping school that is still active today. 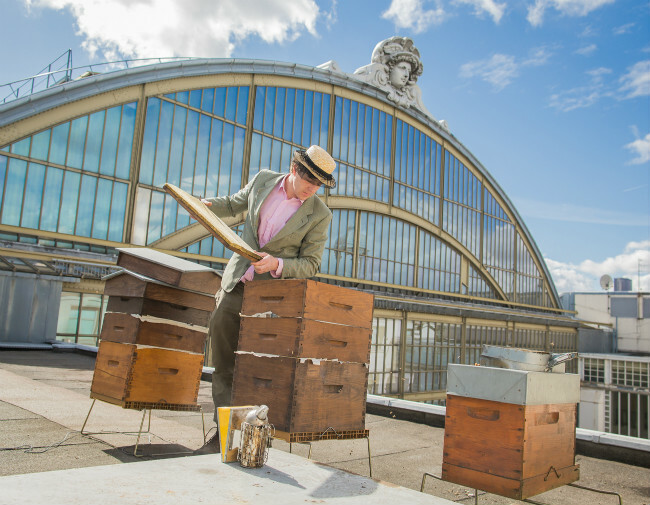 You may have also heard of the hives that have thrived on the roof of the Opera Garnier, tended for many years by Jean Pauchton, a former set designer at the opera. Now, however, bees are all the buzz. In a city such as Paris, where gardens are a tradition and where residents tend to make the best use of vertical space, Paris honey is in. Even hotels and restaurants are jumping on the beewagon. 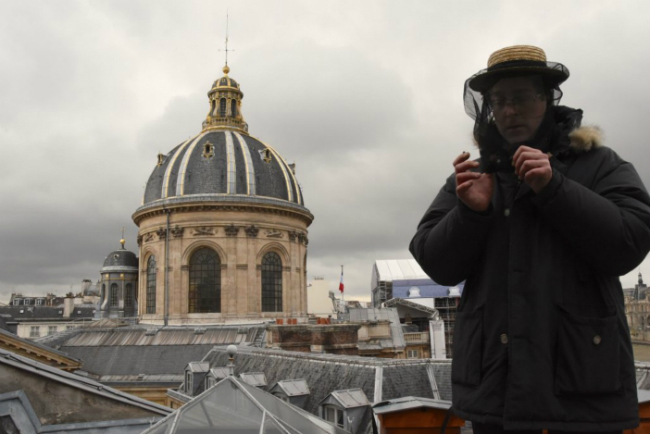 The Tour d’Argent restaurant, the Mandarin-Oriental, and The Westin Hotel (on rue de Rivoli) all have hives that provide an exclusive supply of honey to their chefs. Bees seem to love living in Paris (don’t we all). The wide variety of flora, the frequent plantings in the city’s gardens (and private flower boxes), and the lack of pesticides allow bee colonies to prosper—a hopeful sign when bees in the countryside are declining, threatening the pollination that is necessary for agriculture. At an early age, he seemed to know the power of honey. He started as a young farmer (outside of school hours, of course), growing grapes in the Champagne region at his family’s country home. However, he was soon captivated by the magic of bees. His curiosity and dedication won his parents’ permission to experiment in apiculture, even though his father was allergic to bees. He quickly became proficient at honey production, and, soon, his parents urged him to start selling his products, diplomatically mentioning that they could not keep up the pace of eating a kilo of honey at day. 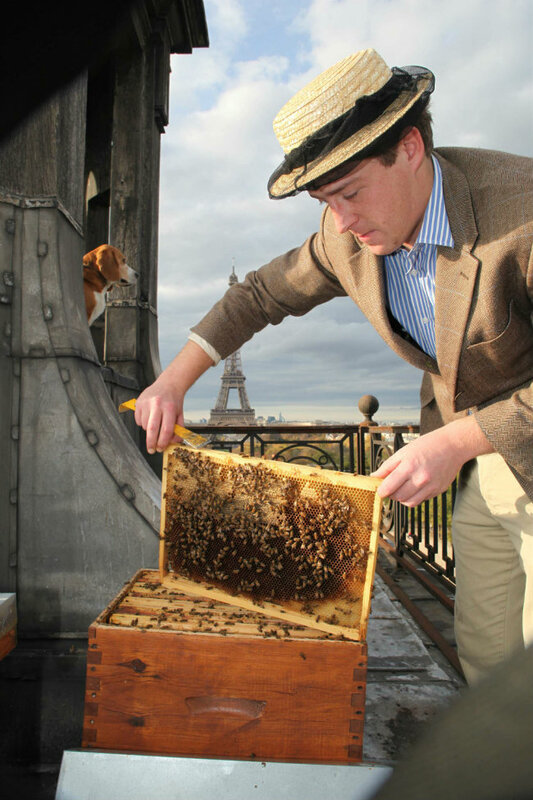 Audric’s love of history and architecture led him to target Paris landmarks for his hives. 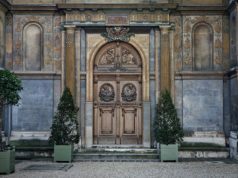 His understanding of nature informed smart location choices near gardens like the Tuileries, which he calls “a fully-stocked fridge” of diverse nectars and pollens that bees need. 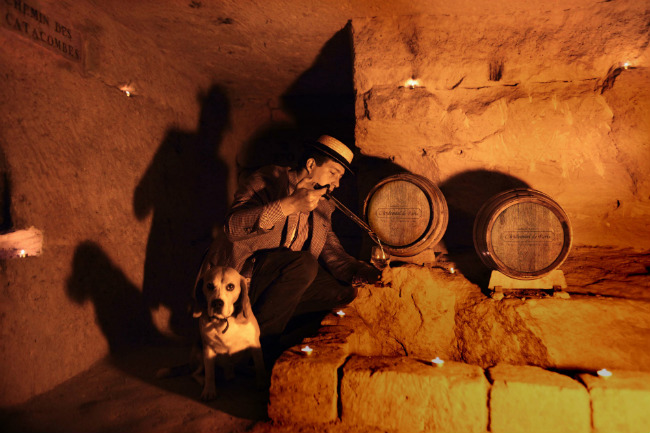 His knowledge of the less traveled paths of Paris (as well as some wild underground escapades as a student), also led him to the catacombs for a dark, damp, vibration-free place to age his honey wine. Every part of his apicultural life has a raison d’être. He is always with his trusty beagle assistant Filou (although Filou smartly keeps his distance from the hives). Audric knows his bees, but he is also a master of marketing, with his beautifully designed black and gold bee-hive like packages for his honey, candies, and hydromel; with his wide distribution of Le Miel de Paris to major museums and shops; and with his insatiable desire to add new and interesting products to his honey line. But most of all, he understands that each hive is its own universe, a treasure that has its own place in nature—a place to be respected. He gives us a reason to bee-lieve. 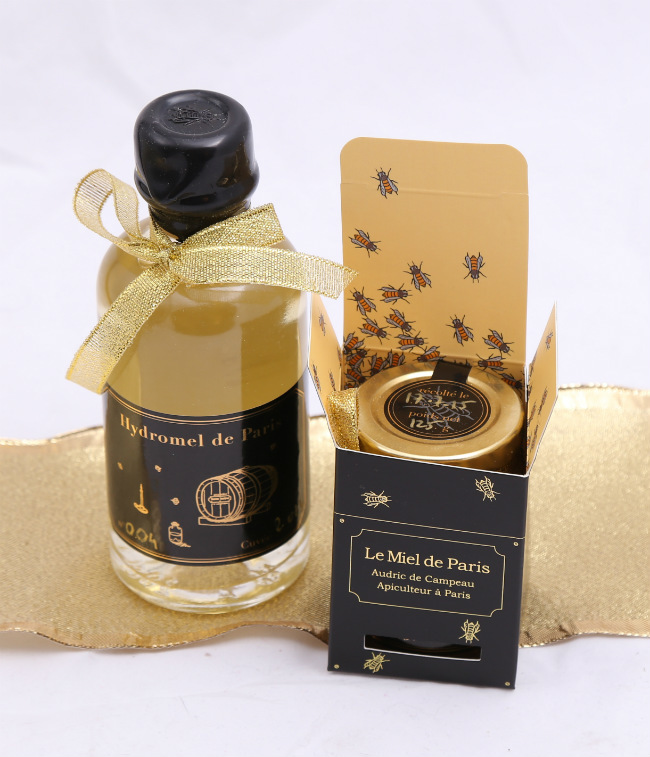 Visit Le Miel de Paris to find out more about Paris honey. 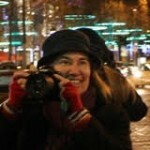 Also Le Miel de Paris on Facebook and Twitter. 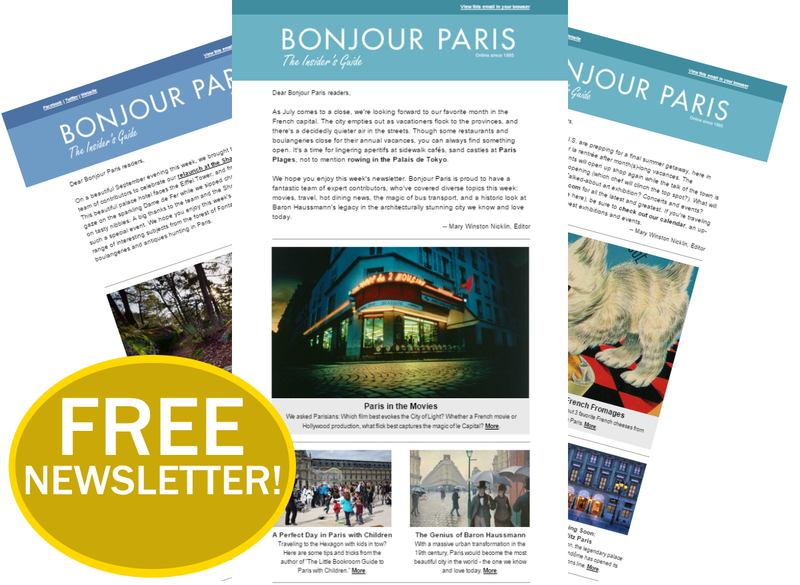 Visit La Monnaie de Paris for more information about The Paris Mint (now open to the public). Visit UNAF: Union Nationale de l’Apiculture Française to find out more about beekeeping in Paris. You can order the honey online from the Opera Garnier internet Boutique. And, you’re right, it tastes like none other. Also try some Miel de Paris. It, too, is very unique (and delicious! ).